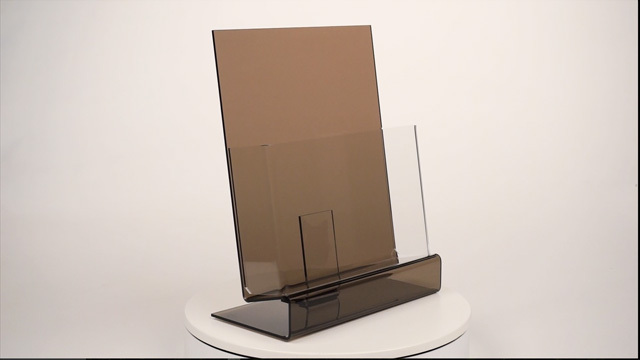 Smoky & Clear Acrylic for Eye-Catching Display. 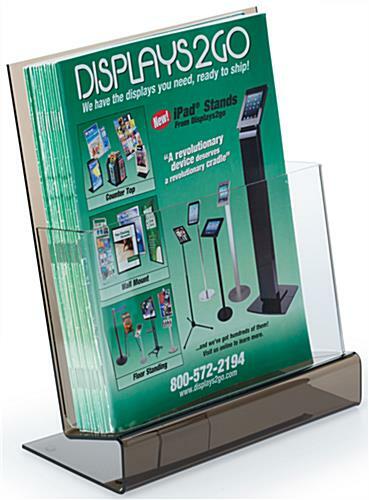 8.5" Wide Pocket to Present Flyers or Catalogs. 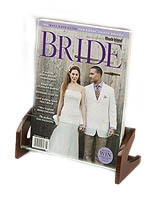 Durable Construction Paired with Lightweight Materials. 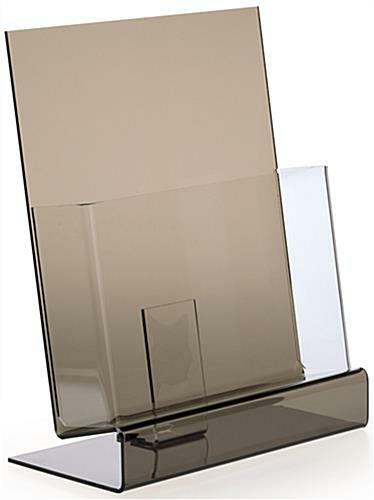 The single pocket leaflet holder for desks is a sophisticated looking literature display with smoky gray base and back and clear front pocket. 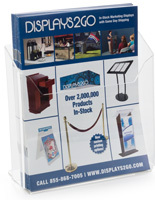 The acrylic stand is designed to hold 8.5” x 11” flyers to be prominently displayed on countertops. 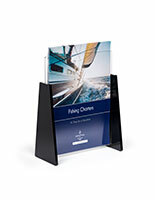 The leaflet holder with slanted design is able to keep flyers upright and easily visible to customers. 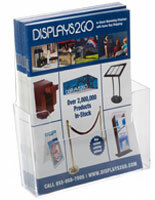 The smoky gray and clear literature display will suit many settings for many placement options. 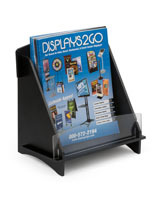 The holder has a 2" pocket to allow for many copies of flyers to be placed inside. 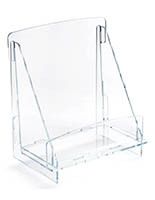 The countertop pocket made of acrylic is easy for customers to see and is lightweight for staff to move around if needed. 9.1" x 11.5" x 4.8"
8.6" x 7.0" x 9.1" x 2.0"